Hello Beauties! Now that Spring is finally here (we even had some sunshine in the UK this past week), I'm slowly starting to pack away my winter knits and replace them with more spring-appropriate attire. However this does mean that there's a little bit more skin on show, and right now, you'd need sunglasses to look at my legs they're that blindingly white. So this weekend I decided to dig out some of my favourite tans and get myself spring-ready. One of the first tans I ever tried was a St Tropez tan and ever since then I've remained loyal to the brand. It is more of a pricey brand for at-home fake tanning, however when you're messing with the colour of your skin, sometimes it's best to stick to the brands with a good reputation, unless Dorito is the look you're going for. My favourite of the St Tropez line has to be the Sensitive Bronzing Mousse, as it has everything I've grown to love about St Tropez but it a little gentler on my sensitive skin, as I often find that fake tan either dries out my skin or makes it itch slightly. This bronzing mousse gives a lovely natural colour, so you actually look like you've spend a week away on a sunny island as opposed to a weekend at home slathering yourself in fake tan. 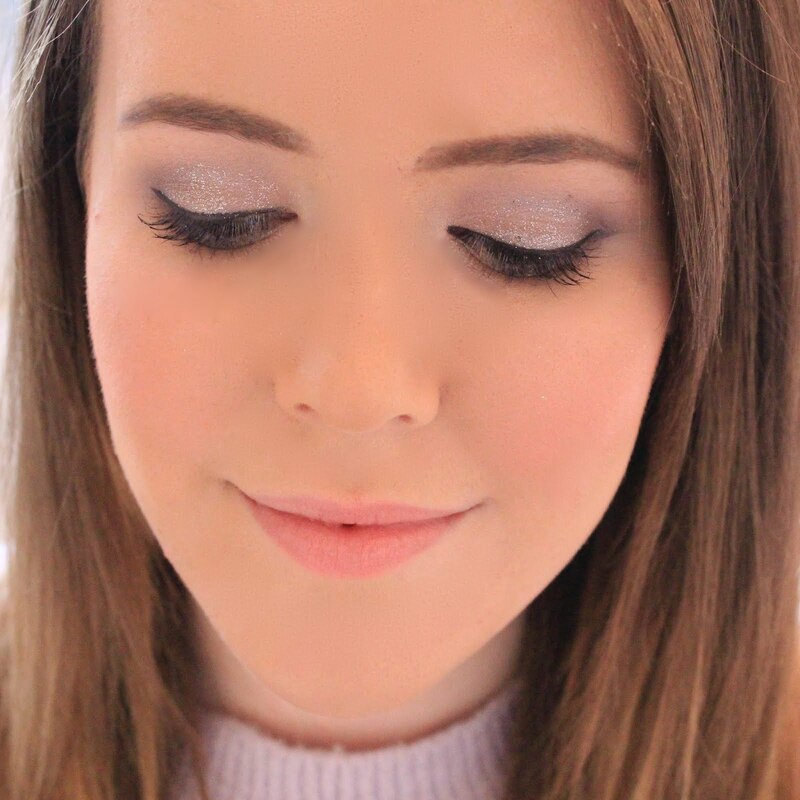 The colour of the sensitive mousse is a little lighter than the original bronzing mousse which I really like as I don't always want such a dark shade, but it can definitely be built up to the same colour and a few shades darker than the original mousse without any streaking or patchiness. The mousse is easy to apply with a tanning mitt (you can pick these up for £2 in Primark) and gives a streak free, even finish. It's quite a wet tanning mousse so it allows you the time to really work the tan into your skin and even out any streaks. 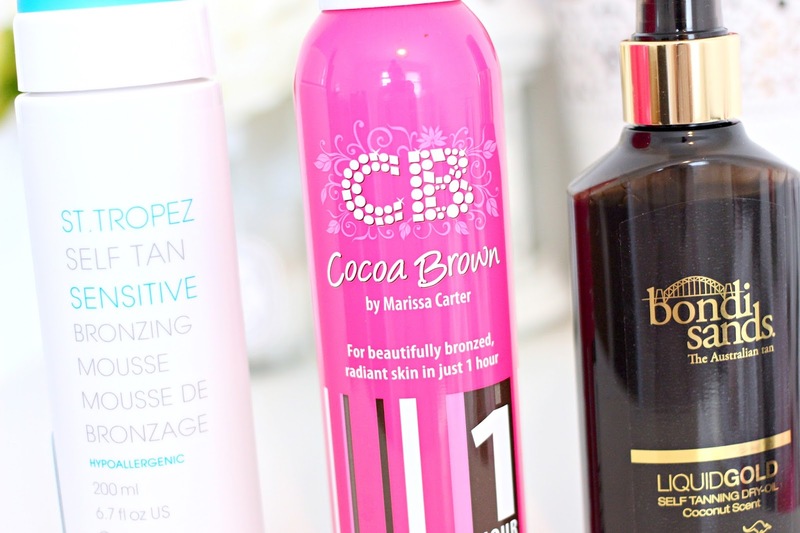 Another one of my favourites has to be the Cocoa Brown 1 Hour Tan. Last minute plans mean that I don't always have time to go through a whole tanning routine which requires 8 hours development time, so this bronzing mousse comes in so handy for those occasions. The Cocoa Brown 1 Hour tan is super easy to apply, and again, is quite a wet mousse so it allows you time to work the product into your skin for an even application. As the name states, the minimum development time for this tan is only 1 hour, unlike your standard 8 hour tans, so if you're in a rush, you're good to go after an hour! The colour is extremely natural and a little lighter than I'd normally like after just one hour so I do tend to leave this one on for 3-4 hours, but it's always nice to have the option. The newest tan to my collection is the Bondi Sands Liquid Gold Self-Tanning Dry Oil (phew, what a mouthful!). Bondi Sands is an Australian company which is now available in the UK at Boots stores, and being Australian, you'd think they know a thing or two about tanning! Unlike the previous two tans I've mentioned, this is more of an instant tan which doesn't need to be washed off, so there's essentially zero development time. You just spray the tan onto your skin, work it in a little with a tanning mitt, and then you're good to go. As this is a dry oil, it will dry instantly so you can put your clothes on straight away and get on with your day. The colour is quite light though, so I tend to use this when I want a little boost on top of my regular tan or when I make super last minute plans and need a little something something to get me glowing. I am obsessed with using the ST Tropez Gradual Tan i find it doesn't have the typical fake tan smell and the shade is gorgeous. I really want to try the Cocoa Brown one next! These look amazing and i haven't tried a tanner but these suggestions are nice. Ahh these are my faves too! 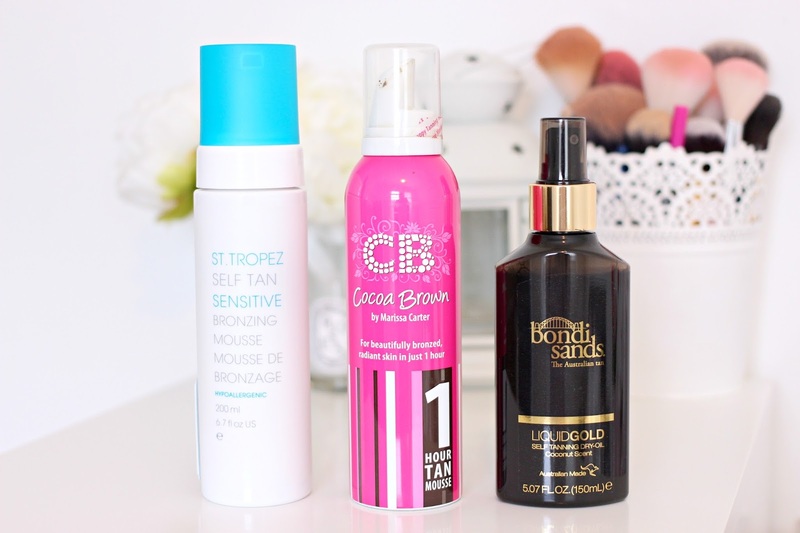 I always have a bit of a love-hate relationship with fake tan products...I like the idea of using a mousse though! I need to try the Bondi Sands Dry Oil, I love their other tans so this sounds perfect, especially the fact that you don't have to wash it off or wait for it to develop!